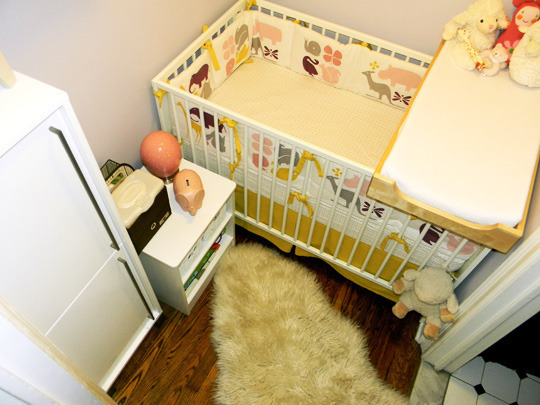 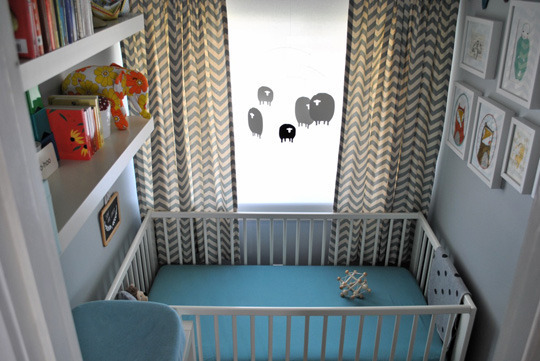 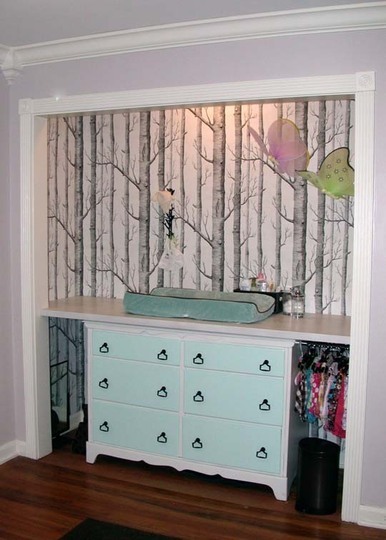 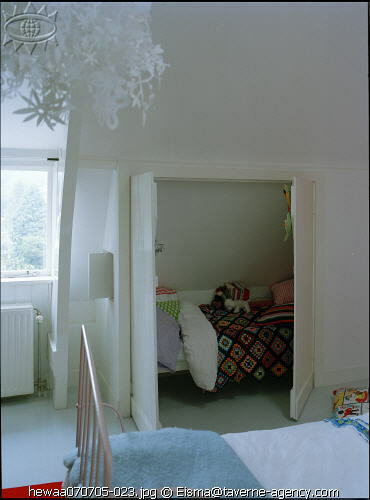 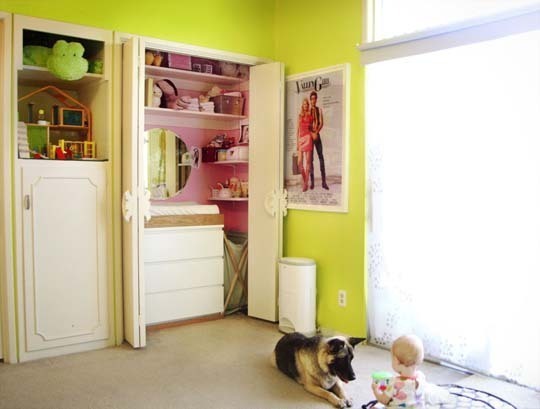 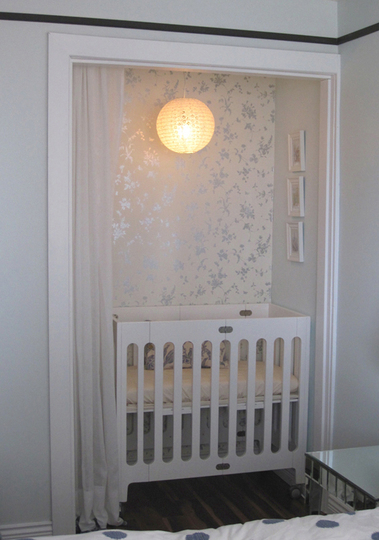 I love the idea of cribs in the closet space! 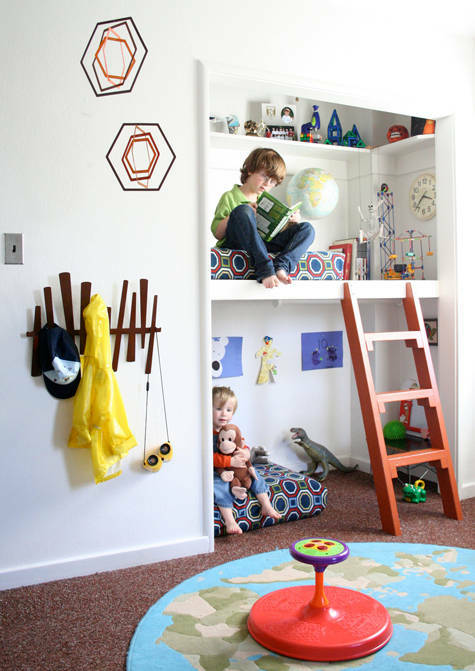 I agree - definitely a great use of space. 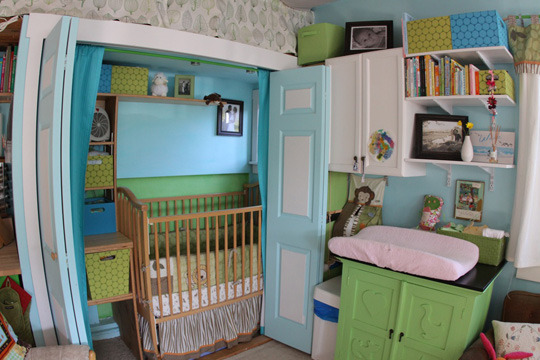 In the first picture, where oh where is the bumper from? 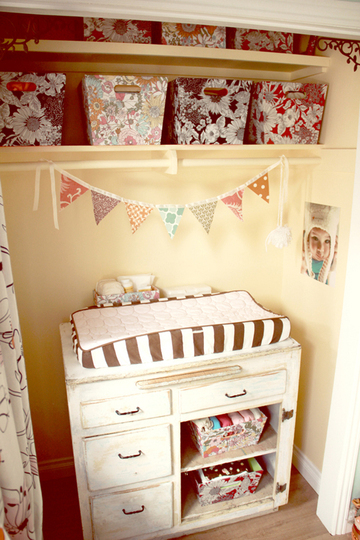 Cutest fabric ever! 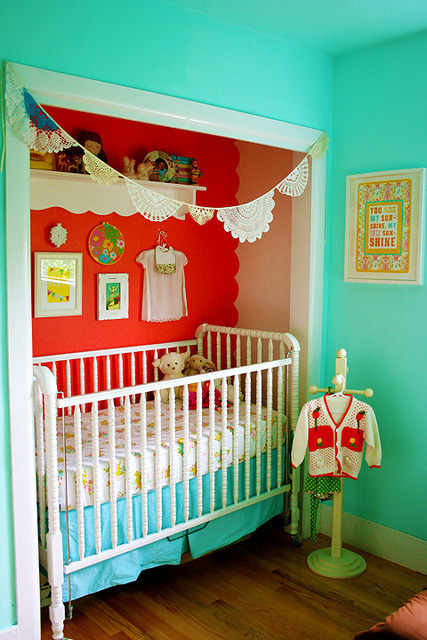 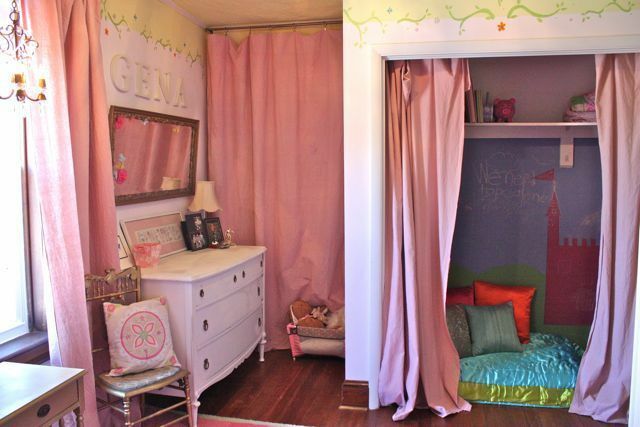 Kara - my sister bought that bedding for my niece in blue - it's from DwellStudio.